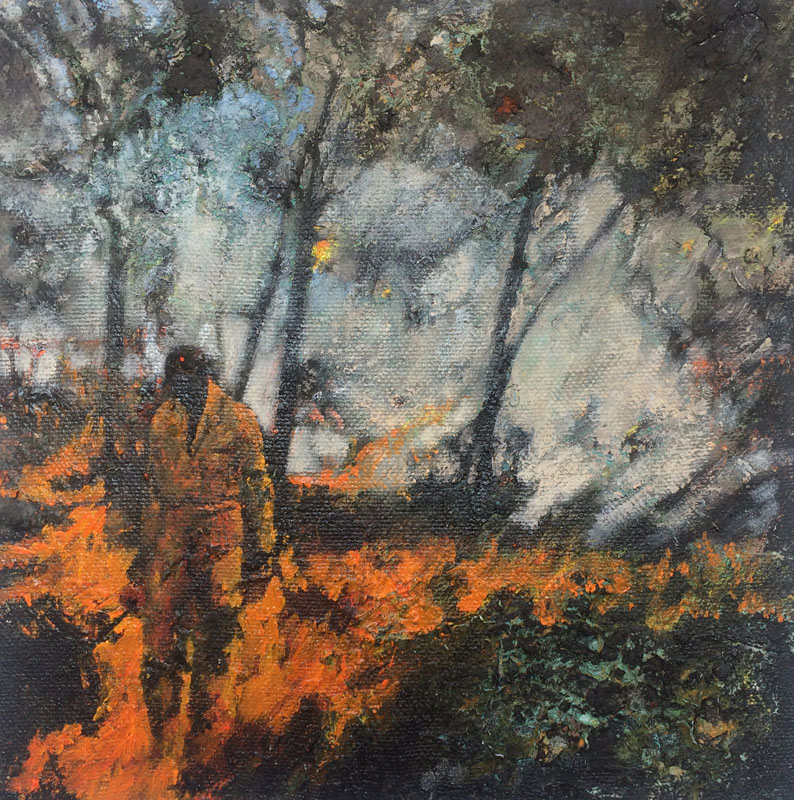 Mandy Martin’s art has always been thematically concerned with commenting on the environment and those issues which impact on it. 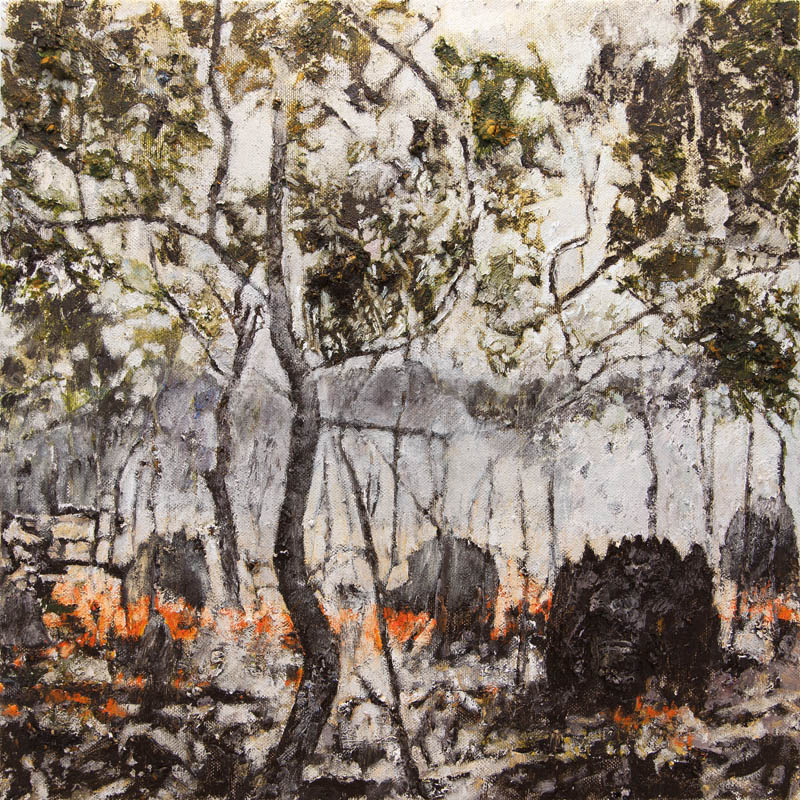 Her works have always dealt with a range of socio-political themes with her early works exploring the suburban nature of Canberra and Queanbeyan and the isolation of migrant women living there. In conjunction with these paintings, Mandy began looking at buildings (houses, warehouses, factories) and the sense of alienation that these structures could symbolise. 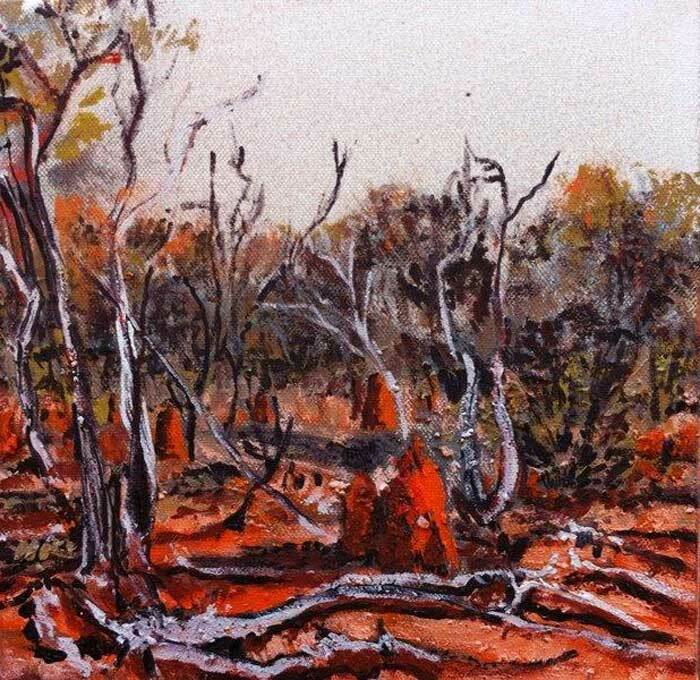 Mandy’s extensive travels in outback Australia since the 1980shave provided the source for some of her most vital and powerful visual statements and continue to provide inspiration to the present day. 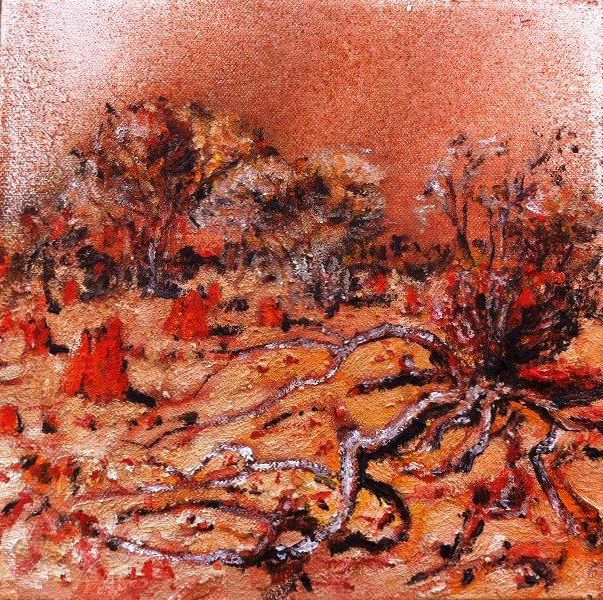 From the 1990s onwards, the land, the environment and the layers of Aboriginal and European culture have given her the materials to create her own vision of the human condition and its relationship to the natural world. 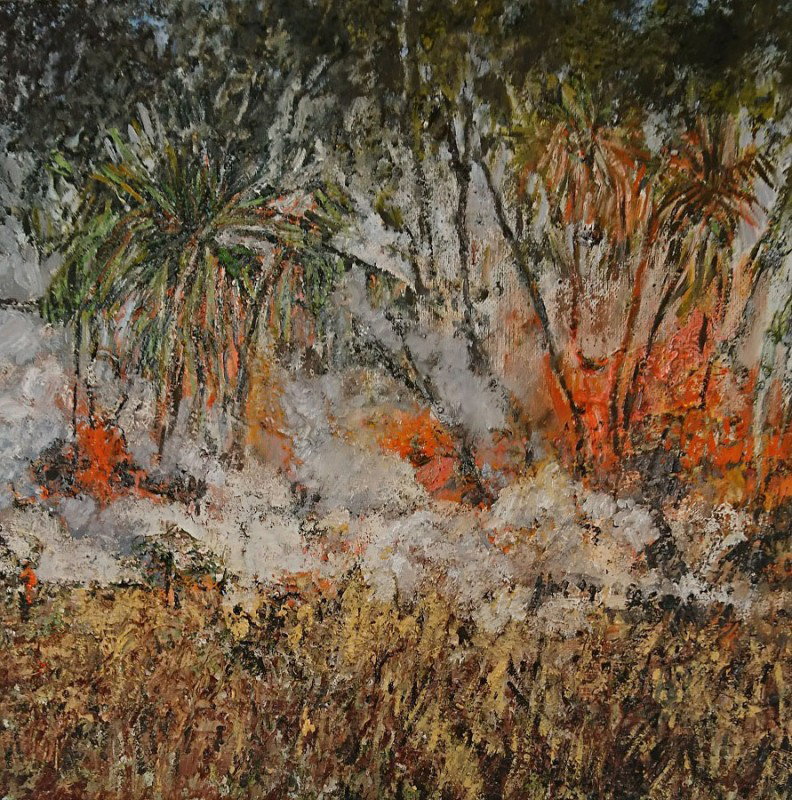 During this period, Mandy has been coordinating art and environment projects and is currently working on an ongoing project in Arnhem Land, ‘Arnhembrand: Living on Healthy Country. 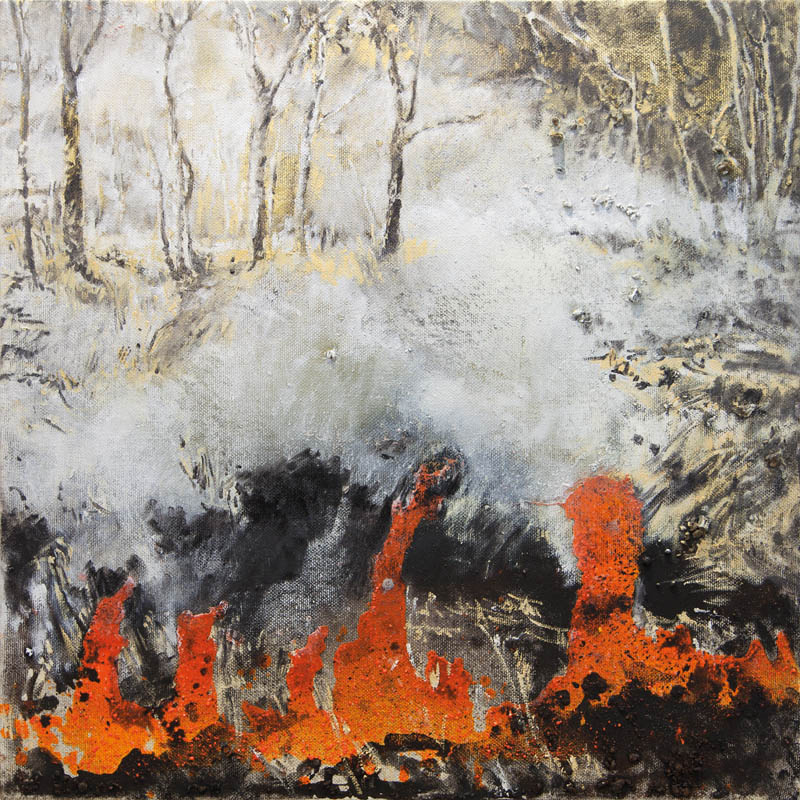 Her current works arise from these art projects and her series about mining and climate change. 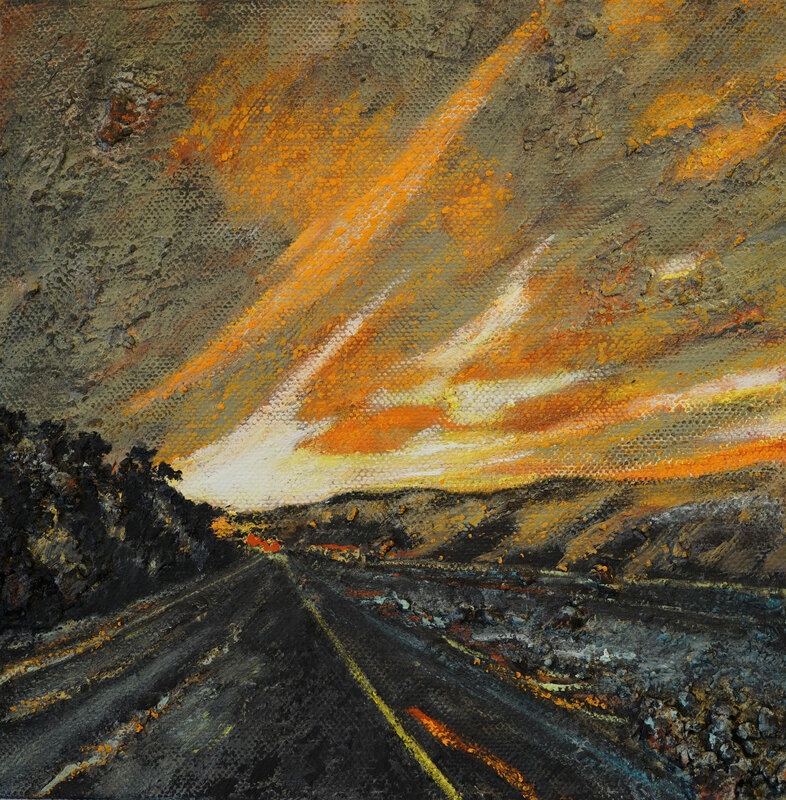 Mandy Martin has been exhibiting for thirty years and has held numerous exhibitions in Australia and internationally including Mexico, the United States of America, France, Germany and Japan. 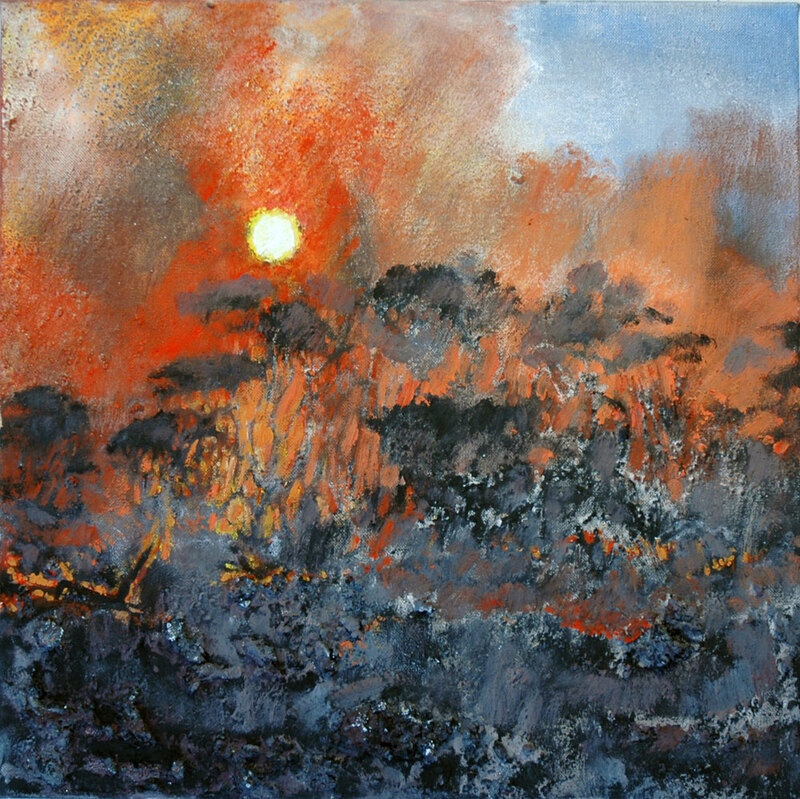 Born in Adelaide, Mandy studied at the South Australian School of Art before becoming a lecturer at the Australian National University School of Art in the late 1970s. She has held the position of adjunct professor at the School of Environment and Society, Australian National University since 2008. 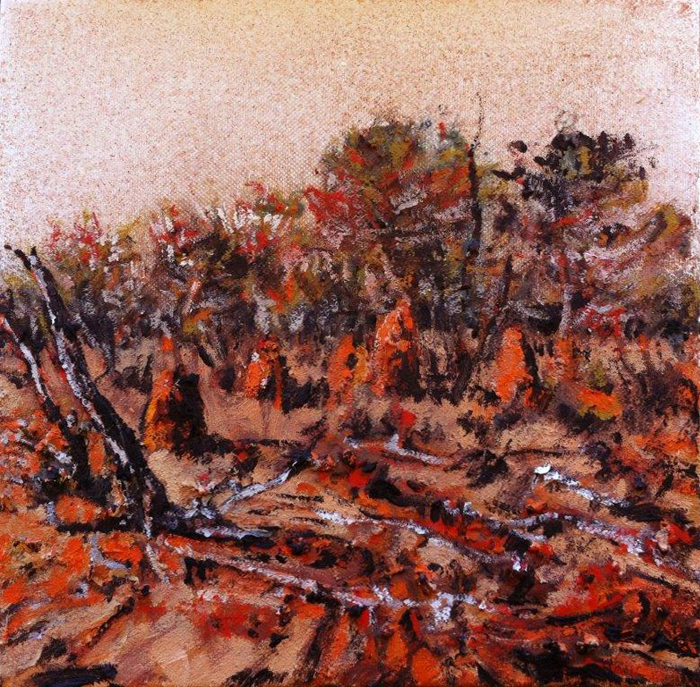 Her works are held in most major public collections in Australia including the National Gallery of Australia, National Gallery of Victoria, Art Gallery of New South Wales, Art Gallery of South Australia, Art Gallery of Western Australia, Australian War Memorial and many regional galleries.